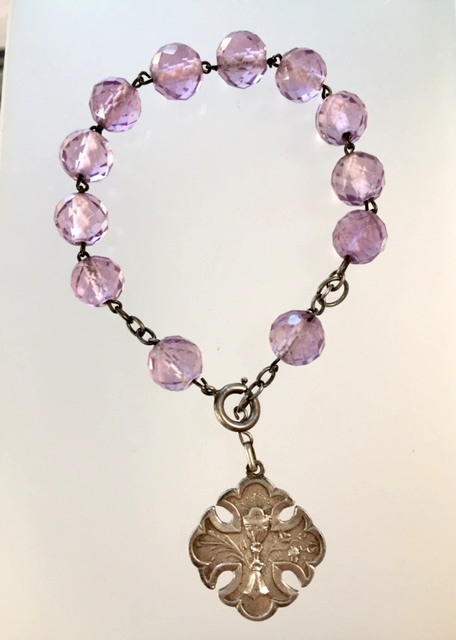 A Stunning Antique C1890 French Faceted Lavender Crystal Rosary bracelet. 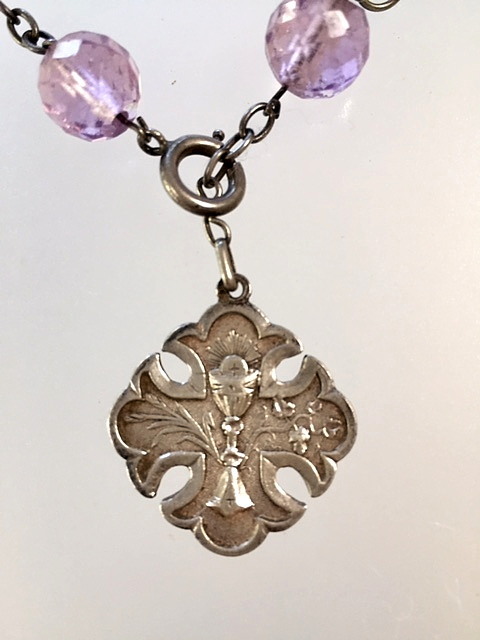 The antique Charm is sterling Silver and features the First Communion Chalice. Total length is 7-9", depending where you hook it, an additional loop for a smaller size is present.